1 Billion Reasons Why You Will Want To Be Sent To Coventry. 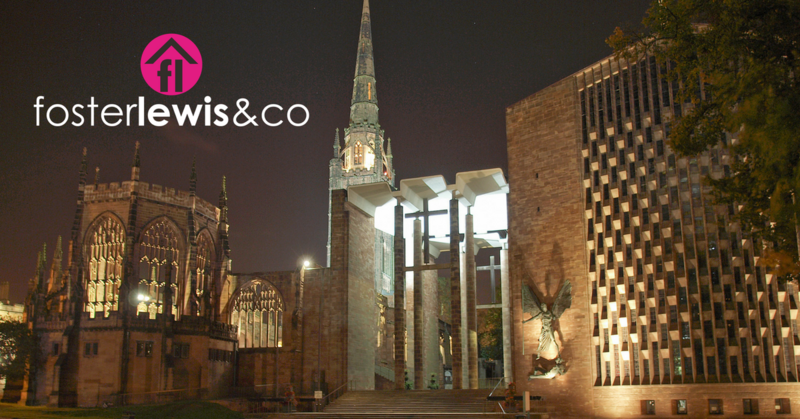 Sent to Coventry – Is There Any Better Place in the UK than Coventry? After Coventry’s amazing City of Culture win, back in December 2017, it’s looking to be a fantastic few years for the city. It is anticipated that win will lead to at least £1 billion worth of investment for the city, it will have a massive impact on tourism and that’s all without the general feel-good factor it will bring to the city. Everyone will want to be ‘Sent to Coventry’. How could this affect the housing market in the city? ‘Any positive string to the city’s bow will inevitably bring more interest to Coventry, therefore making it attractive to companies and investors wanting to bring their brands and money to the city. This then gives potential to make it an even better place to live, enhancing its appeal and driving up the already rising house prices. If the two universities are anything to go by, the popularity in CV1 & Canley in CV4 has sent the prices through the roof. If the average is set at 5% growth year on year I’d suggest at least another 1% on top of that for the next 10 years. Glenn Foster from Foster Lewis and Co Estate & Letting Agents. Are you looking to sell your property? Are you a landlord looking to let your property? Get in touch with us at Foster Lewis & Co. Our family run business offers a friendly personal service at realistic prices. Call us now on 02476 592929.